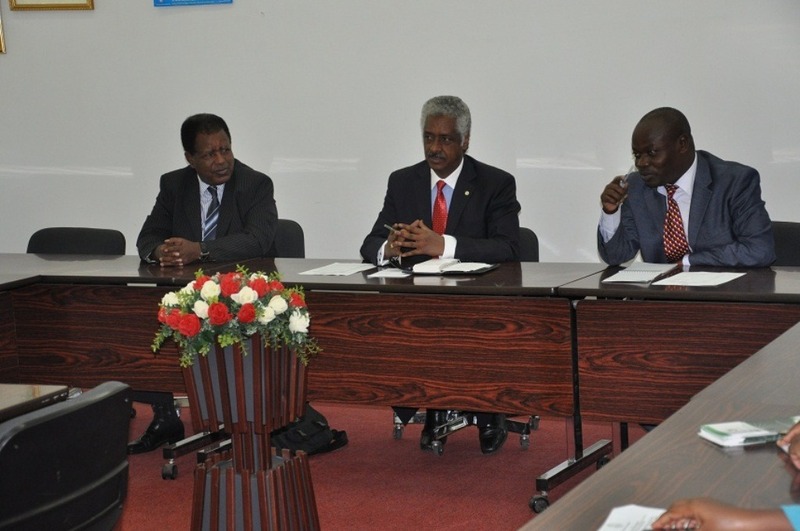 Khartoum (HAN) July 24, 2014 – Education and regional security issues. 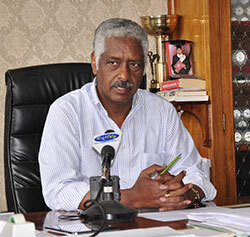 In an interview conducted by Erina with Professor Tadasse Mehari, Executive Director of the National Board for Higher Education, said that College graduates in the country is increasing thanks to the extensive educational opportunity and endeavors, coupled with immense investment being made on the part of the Government to promote equitable educational opportunities to nationals. According to the report provided to Geeska Afrika Online by the National Board of Higher Education in Eritrean representative in Khartoum, about 14 thousand students from seven Colleges across the country have been pursuing studies in the 2013/2014 scholastic year, out of whom 2,765 graduated with Masters and Bachelor’s Degree, as well as Diploma, while 40 others graduated with Certificate. Professor Tadesse went on to explain that Hamelmalo College of Agriculture and the Institute Technology are providing post-graduate study, and that a total of 46 students have graduated with Masters Degree, thus making due contribution in lowering expenses paid to expatriate lecturers. He also indicated that a total of 100 civil servants who did not get the opportunity to pursue higher education have been provided with the opportunity to benefit from a Masters program. Moreover, Professor Tadesse pointed out that Eritrean intellectuals residing in North America are providing post-graduate lectures in the Homeland in line with the efforts made to enable them do so whenever possible. He also stated that the endeavors made to enhance relations with over 25 universities abroad have borne fruitful outcome as regards securing external recognition and ensuring the quality of education being provided. Still in other respects, the Executive Director of the National Board for Higher Education made reference to the endeavors made to secure due recognition as regards the rank obtained in their educational service. As a result, 12 teachers have attained Professorial status, 14 Associate Professor and 11 Assistant Professor. In addition, 67 teachers who have been providing service at lower level have become lecturers and 57 others Assistant lecturers. 6-organ harvesting and its lucrative market. It will be conducted by our famous professors, Isayas Afeworki (very experienced tyrant with 24 years experience), professor Sibhat Efrem, professor Yamane Gebreab and other well respected criminals.